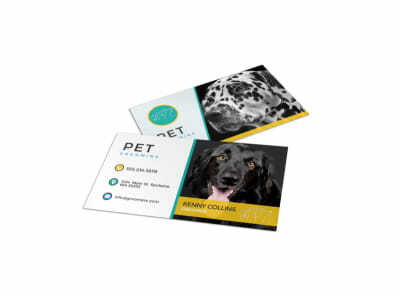 Whether you’re in the business of teaching Fido to sit and stay or you make your living grooming German shepherds and shampooing poodles, business cards are a must for networking and growing your brand. 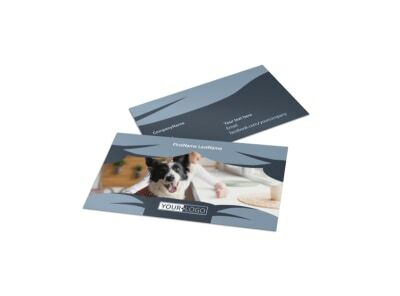 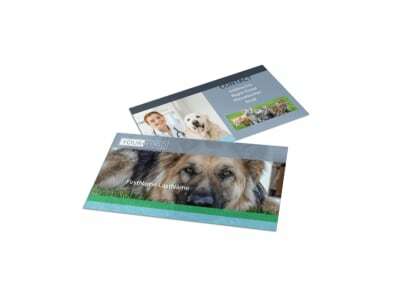 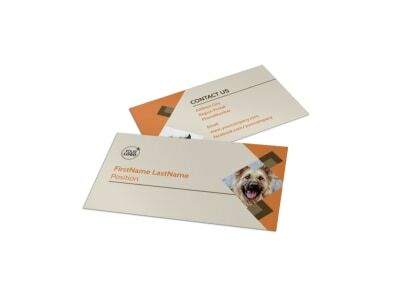 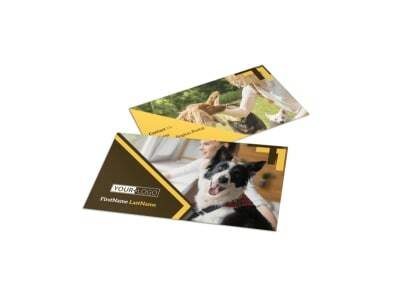 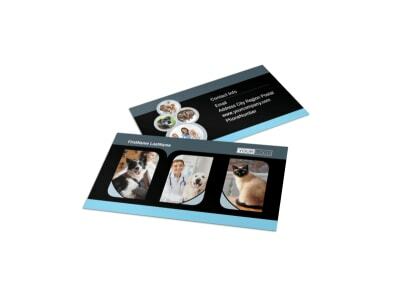 Use our pets and animals business card templates to customize a business card that keeps your contact information, including your website address, phone, and email info, in pet owner’s hands. 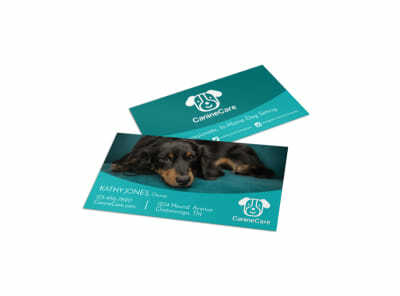 Add your logo, graphics, images, and more to your design with custom elements on both sides to make your card doggone memorable. 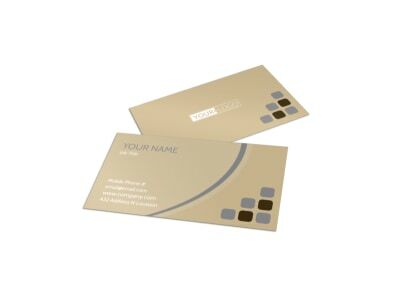 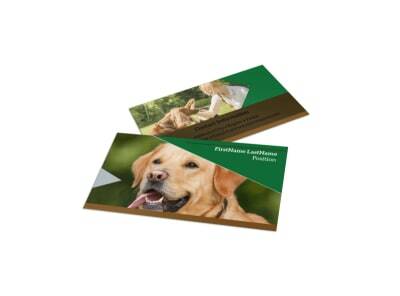 We can handle the printing for you, or print your cards yourself from any location. 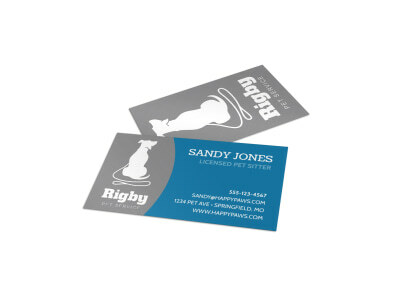 Pongo and Perdita (and their pups), Tom (minus his nemesis, Jerry), and even the great Scooby (Dooby) Doo all need a bit of help staying clean and well-groomed. Share your expertise and love for animals with dog and cat owners in your area by designing a custom pet grooming business card that ensures they always know who to call when Fido (or Fifi!) 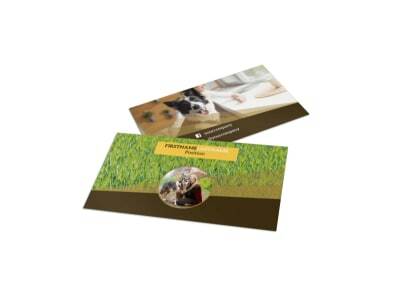 goes mud-running. Our online editor allows you to completely control the entire design, from start to finish. 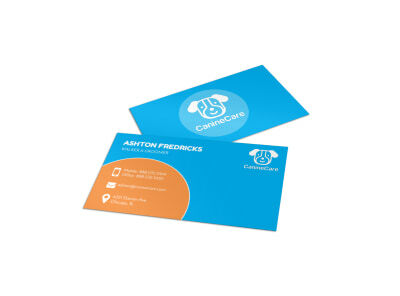 We can even print them for you – all that’ll be left is for you to track down Roger and Anita, along with Shaggy and the rest of Mystery, Inc. to distribute your cards and book some appointments! 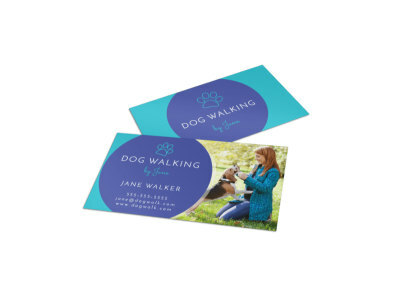 As a professional dog walker, you likely spend a lot of time in your local dog park or on oft-traveled paths and sidewalks. 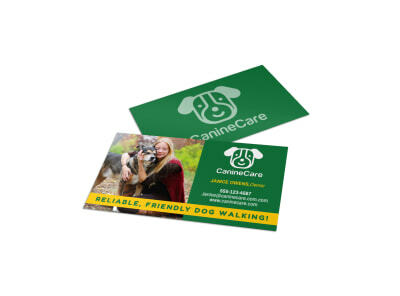 In doing so, you pass by or meet up with other dog owners (and potential clients!). 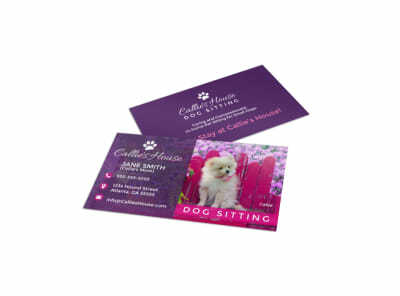 Make the most of each networking opportunity by customizing a bark-worthy business card and always carrying a handful with you to share with those you connect with in your day-to-day life. 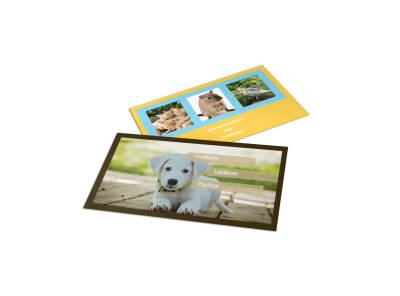 Go with memorable design choices – you don’t want to be tossed in the recycle bin. Upload your logo and clearly display your name and contact information. 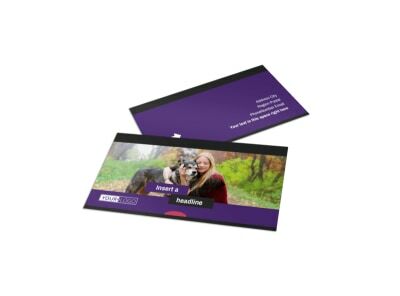 Our online editor turns the design process into a walk in the park – we’ll even print the business cards for you! 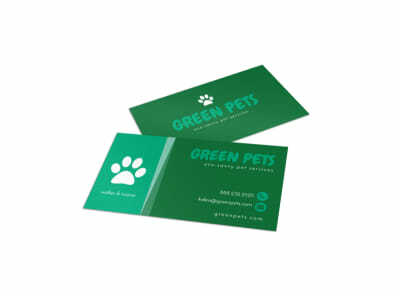 Make sure your canine friends at the dog park know where to find you when they need a top-notch grooming session by handing out your very own custom-designed business cards. 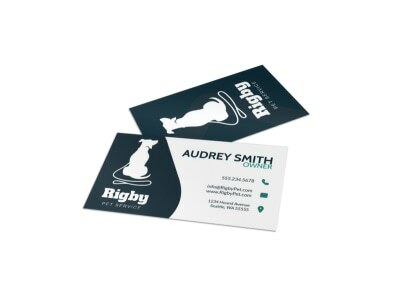 Every pup in the community (and their pet parents!) 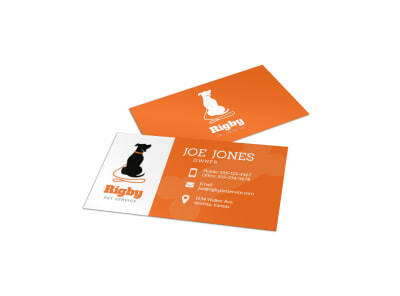 should have your name in hand (or paw). 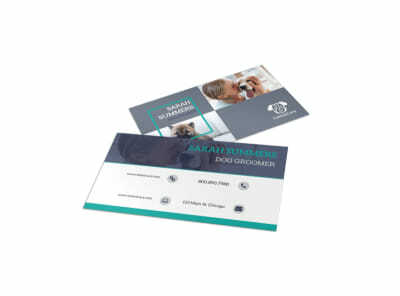 Browse our catalog of professionally-designed, well-manicured dog grooming business card templates until you find the style that fits you best, then give it a quick makeover using our online design editor. 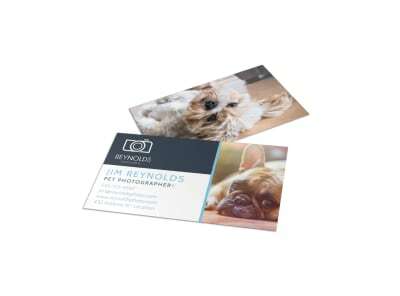 Once you’re confident that your completed design exemplifies who you are and what you do, send the PDF file to your favorite printer or give our satisfaction-guaranteed print service a try. 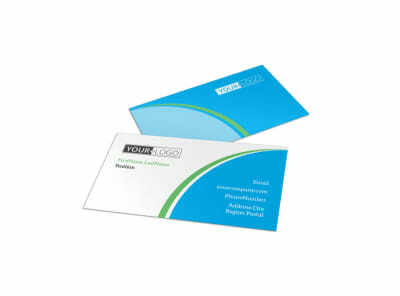 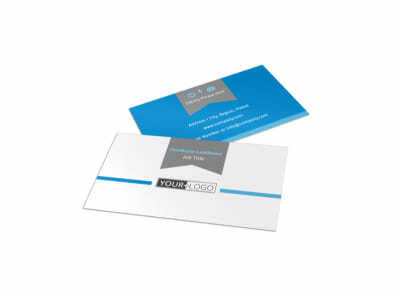 We’ll deliver your one-of-a-kind business cards right to your door! 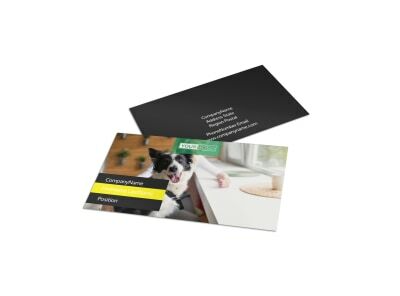 Whether you’re an experienced pet-sitting pro or are just starting out, it’s essential that you are always prepared to share your business and contact information with people (pet owners!) you meet as you go about your everyday life. 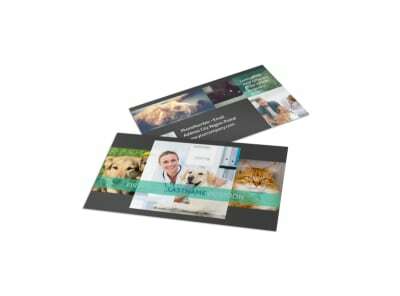 Be prepared by designing and customizing a pet sitting business card that instills confidence in your trustworthiness and love for animals. 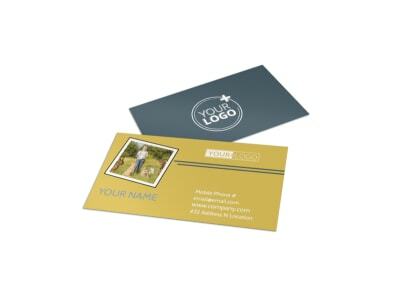 Upload a photo of yourself with happy clients or stick with a more streamlined theme – the choice is yours! 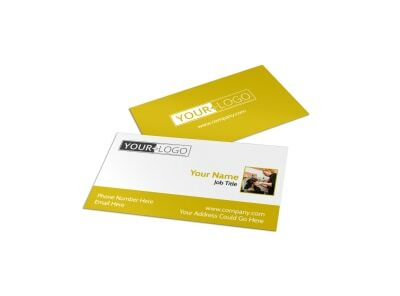 Include your contact information (phone, email, website, social media, location/area served) and a brief mission statement or slogan. 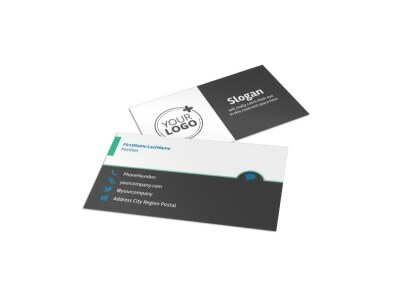 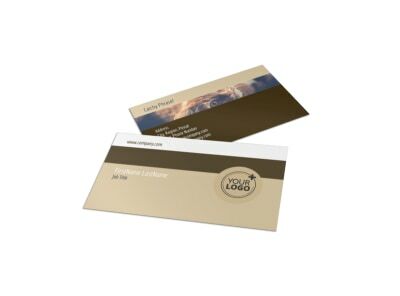 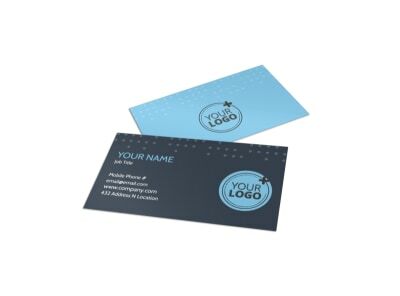 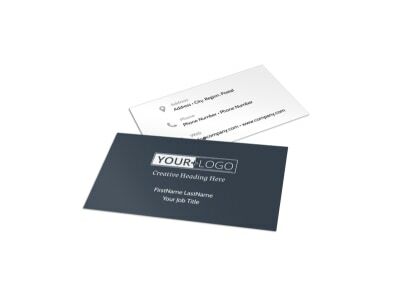 Our online editor will enable you to create and print a professional-looking and memorable business card that will have your phone ringing off the hook in no time!